Rock vs. jazz; punk vs. art; complex compositions vs. raw improvisation. Brown vs. Brown encompasses all of this and much more, turning in seven long tracks of blistering raw energy for their second album. This four piece from Holland (guitar, saxes, drums, and bass, plus occasional vibraphone, kalimba, banjo, and vocals) puts forth a style of their own that conveniently and inventively defies categorization, yet throughout remains imaginative, gritty, and often catchy. Most readers will recognize the name of sax player Dirk Bruinsma from his other – and better known – band Blast, but the style here takes a different approach. Bruinsma, guitarist Jeroen Kimman and bassist Viljam Nybacka all contribute about equally to the mix of compositions, so Odds and Unevens ends up being a true all-around band effort with a number of perspectives and shared passions. 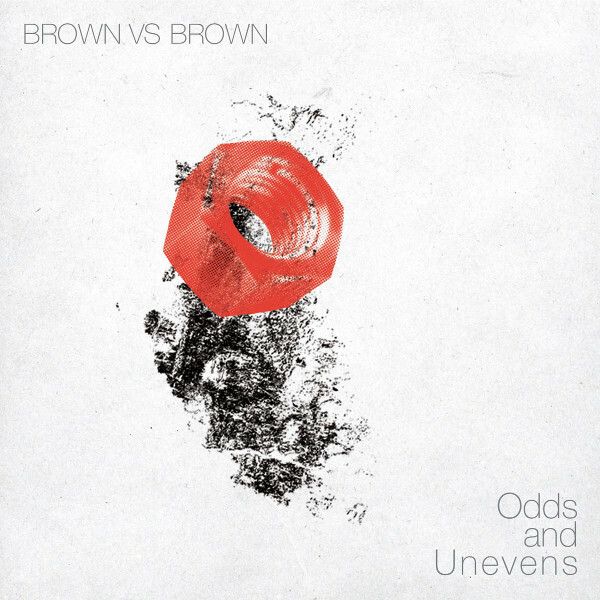 The vocals are almost incidental – the inimitable essence of Brown vs. Brown is instrumental at its core. It’s hard to listen to this and not be moved, either on the physical level (many of the cuts here swing and groove ardently) or on a cerebral level – the scores wind through complex labyrinthine passages and then, without a hint might just open up into a free improv and shift back again. These contrasts are what make these pieces unique, juxtaposed as they are, offering some telling insights into the scope and range of the band’s influences. This is at once audacious and inviting, brimming with energy throughout every measure.